Legal NBA betting happens across the world during the season as well as into the postseason. Folks will even bet on the NBA well into the off-season because of some of the betting lines offered during the draft and free agency period. With 82 games played by each team during the regular season, the intrigue is alive and well and the wagering opportunities are abundant among pro basketball fans. That’s not even counting the millions of fans that are found in other countries such as Spain and China. Some of the best NBA players come from outside of the US and ironically enough so do the best sportsbooks. While sports betting is widely accepted in other foreign territories, it can be difficult to figure out how to legally bet on the NBA in your home state. Sportsbooks have spread outside the confinement of Nevada and have made their way to over a fifth of all states. However, if you live in a state without one (or do but want better wagering options), then look no further than online offshore sportsbooks. We’ll break down how you’re able to use these sites without fear of the law, explain how NBA betting lines work, and explain sports betting best practices that can be applied to your NBA wagers. When it comes to the legality of betting on the NBA, you should keep a few things in mind. The first being that the US federal laws have softened their stance around this issue in recent years. States are now free to update their gambling laws, as many did upon the immediate repeal of PASPA. However, not every state has been quick to take this approach, and it will be a few years before most states will allow you to place wagers on the NBA at a physical gaming establishment. Another important aspect to note is that each state will have different sports betting laws so the teams you’re able to bet on and the wagering types available may vary. A good example of this, and the complexity of the legal sports betting in general, is the Golden Nugget Casino. In New Jersey, NBA wagering is not permitted because both the casino and Houston Rockets are owned by the same person, Tilman Fertitta. However, in Nevada, only betting on Rockets is prohibited when at the Golden Nugget. Another example comes in the form of mobile and collegiate wagering. Some states, such as Delaware and Rhode Island, restrict any sportsbook from offering betting lines on college teams that are from their home state. For mobile betting, Mississippi’s current law limits mobile wagering to casino grounds. For other mobile betting states, like West Virginia, you have the ability to wager anywhere online, as long as you are within state lines. As you can see many of these issues have nothing to do with you the bettor but can still influence your betting habits. If you’re worried that you may not be able to bet on your favorite NBA team, don’t be. Online offshore sportsbooks post live NBA betting odds every day during the season for all 30 teams. Best of all, they do not have any mobile or collegiate wagering restrictions, leaving you open to bet on any team from any league that you desire. Both of these options have their perks. Land-based NBA betting can serve as a fun experience because this option is often times found in a casino setting. There are plenty of TVs to watch multiple games at once, as well as food and drink available while you watch your bets play out. However, land-based sports wagering can often time come with hidden costs such as the plane ticket or car ride it takes to get there, as well as possibly having to stay the night in the city because of the distance. If you plan to bet on a popular home team then you could possibly see weighted betting lines as well. This is the advantage that comes with betting on the NBA online. You can do so wherever you have an internet connection and because they are based overseas you’ll be able to see the fairest betting lines for any game that’s about to tip-off. They also tend to come with promotional deals and bonuses that new users and returning members can take advantage of. They even have multiple ways to deposit into your account including cryptocurrencies like Bitcoin. These are just a few key differences between land-based and online NBA betting. While there are many options for legal NBA betting, there are a few key steps you should take before throwing your money at every game. These three checkmarks are simple ways that every responsible sports bettor takes in order to make the most out of their wagers. These will apply to any sportsbook of your choice, no matter if you’re choosing to use an online betting site or land-based sportsbook. NBA betting lines can vary from one sportsbook to the next. One of them may have the Golden State Warriors listed at (-3) betting odds, another may have them at (-10). Even though they are the favorite to win that particular matchup in this scenario, your spread bet could be influenced heavily by the line you choose to bet on. Payouts for these bets can vary as well. One of them may have a moneyline set for Golden State at (-150) while another may have them at (-120). In this example, by simply exploring your options and shopping lines you can save 30 dollars on your NBA bet. This is why many sports bettors tend to have more than one online sportsbook account. When making your deposits at online sportsbooks you’ll want to decide how soon you need that deposit to be added to your account along with how much you plan to send. Methods such as bank wire transfers allow you to send thousands of dollars into your account, however, it may take several days for you to be able to use those funds. If you need to send funds faster then your best bet will be to use cryptocurrencies such as Bitcoin. Those transactions will usually take less than 24 hours to process. Online sportsbooks should have a cashier section on their site to list out all your different deposit options as well as have customer support to help you through the process. Most online sportsbooks will offer NBA betting bonuses. These can come in the form of a sportsbook welcome bonus, a risk-free player prop bet, or even through a special contest for the current NBA season. Sites such as Bovada, SportsBetting, BetOnline, and 5Dimes will have these deals and the rules surrounding them right on their site’s promotions section and can be viewed before you even make a single deposit to them. Knowing which sites offer which deals will help you make the most of your NBA bets because you’ll have an extra cushion provided by these year-round offers. In a game like this, you would have to bet 130 dollars just to win 100 dollars if you pick Boston to win the game. However, if you put your money on the Lakers to win the game, then you only have to bet 100 dollars to win 150 dollars. It’s worth noting that betting on the NBA doesn’t have to be this expensive, most sportsbooks will accept a bet for as little as 5 dollars. A totals bet is also known as an over/under bet. This is because in this bet the winner of the game doesn’t matter. What does matter is whether or not the final score combined between both teams goes over or under the amount set by the bookie. If you think the game is going to a high scoring affair then bet the over. If you think it will be more of a slugfest then bet the under. If you bet on the Rockets to win the game they will have to beat the Heat by 8 points or more for your bet to pay out. If the Heat win the game or lose the game by no more than 8 points then a bet on them would pay out. A player prop bet also isn’t necessarily concerned with the outcome of a game, rather an individual player’s performance. If you think a center is going to get a certain amount of blocks during the game then you can bet on it. If you think a point guard will reach a certain amount of points then you can place a wager on that as well. A team prop bet practically follows the same principle except you are betting on the team’s performance. They could end up losing the game, but if they achieved a certain stat then your bet can still pay out. There are other ways to bet on NBA games and one of the most popular includes futures bets. These are based on possible outcomes that can happen well before the season even starts. This could include possibly betting on the Golden State Warriors to win the Western Conference, betting on the 76ers to win their division, betting on the Lakers to make the playoffs and more. The odds listed for futures bets change throughout the course of the season and will often provide the best payouts at the beginning of the season. Live betting on NBA games is the most fast-paced form of sports betting there is. That’s because while all the other wagering types we discussed are locked in at opening tip-off, live bets are placed as the game is playing out in real-time. If you think a certain player is going to miss an upcoming free throw then you can bet on it. If you believe an upcoming inbound play is going to result in a turnover then you can bet on that too. These odds change frequently so you have to be quick in order to make the most out of every NBA game. Mobile betting on the NBA is without a doubt the most convenient way to bet on basketball. That is because all you need is a smartphone or tablet and all of the latest odds and wagering types will be available at your fingertips. 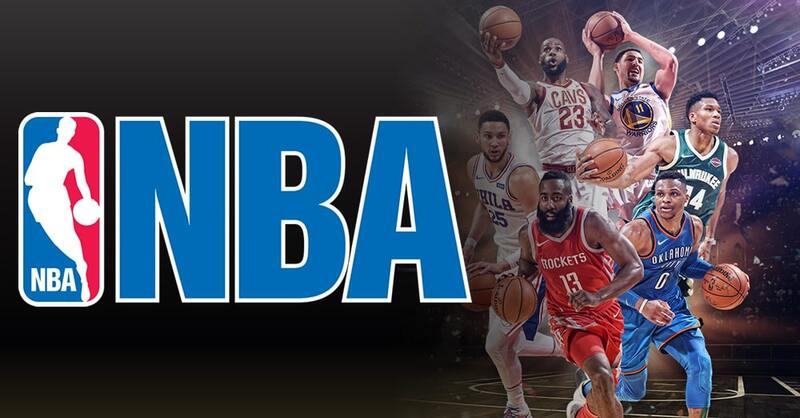 Online offshore sportsbooks such as Bovada, BetOnline, 5Dimes, and SportsBetting provide mobile-friendly versions of their sites so getting ahold of NBA betting lines is a fast and easy process. They even offer live betting through your mobile device so the next time you’re sitting at an arena you can pull out your phone and start cashing in on the game.